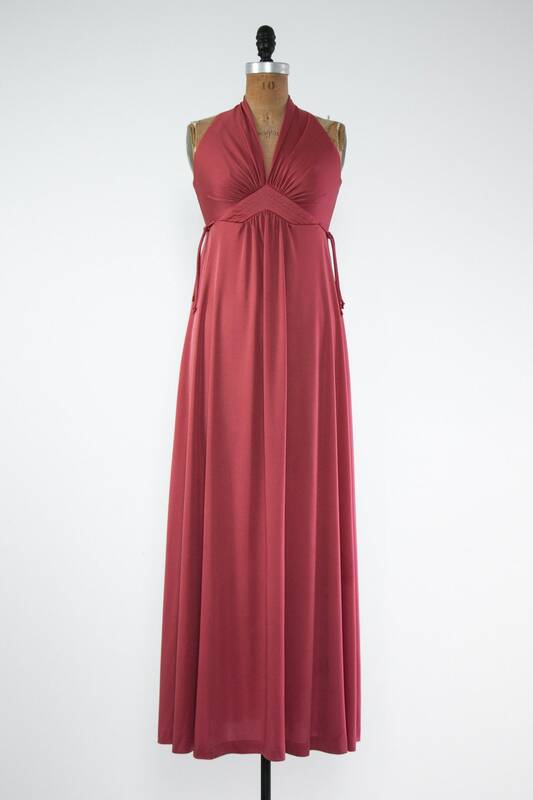 Vintage 1970s disco dress. 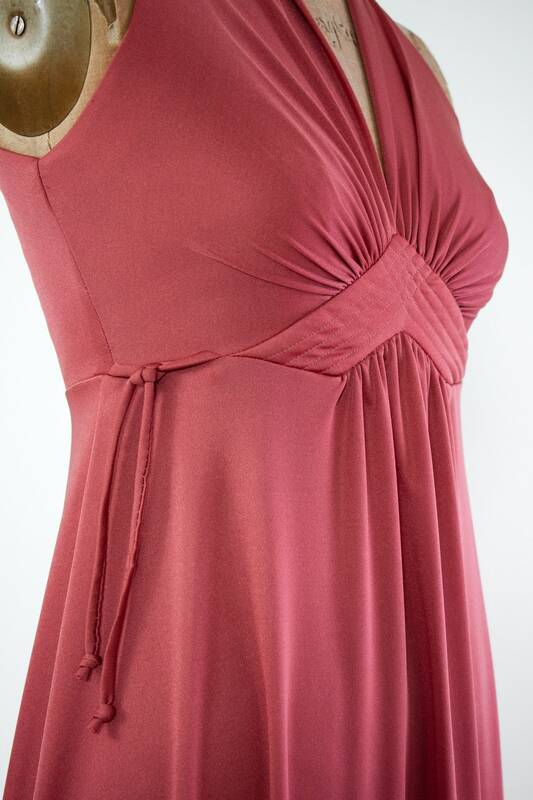 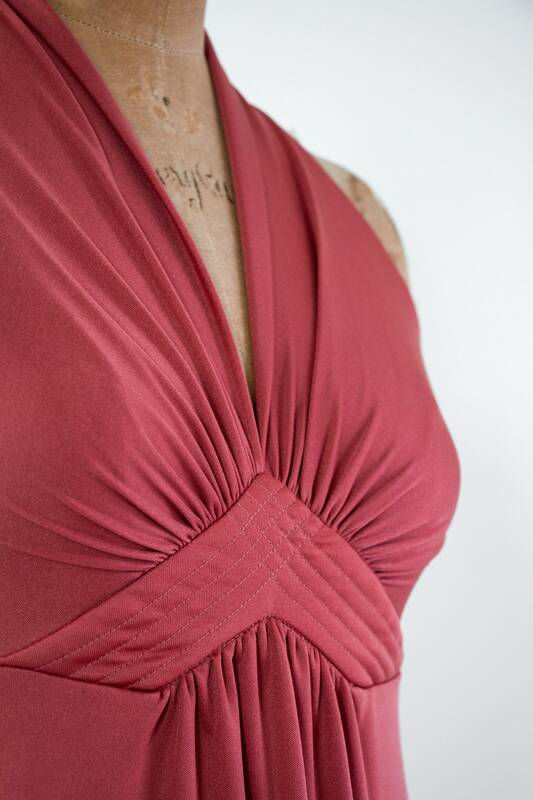 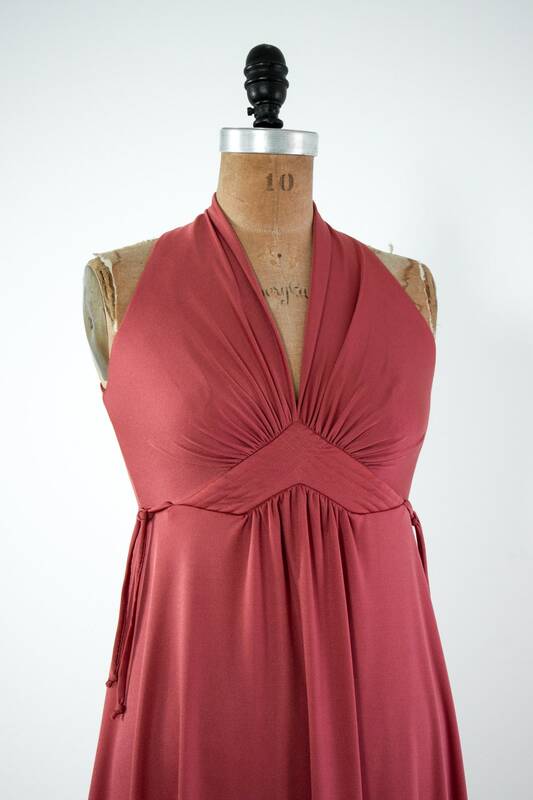 Made from lustrous raspberry pink jersey. 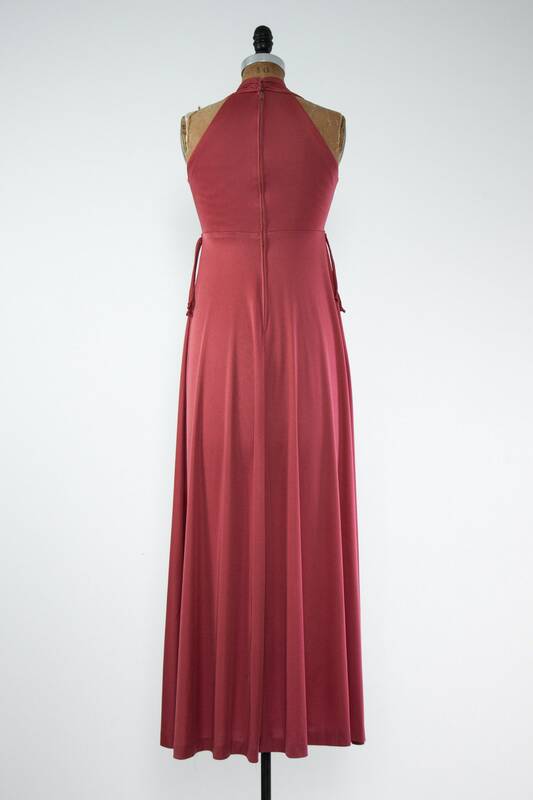 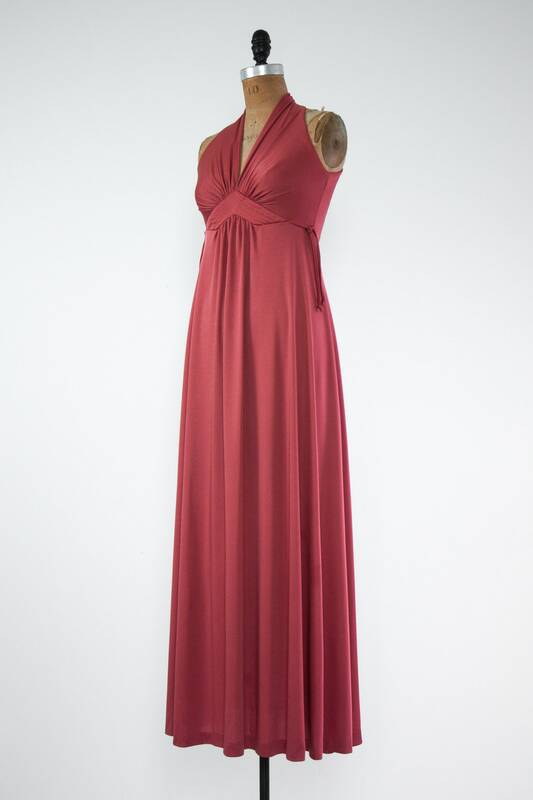 Features a halter v-neck , gathering at bust and waist, long flowing maxi length skirt, and empire waistline with decorative ties on either side that can be adjusted to size. 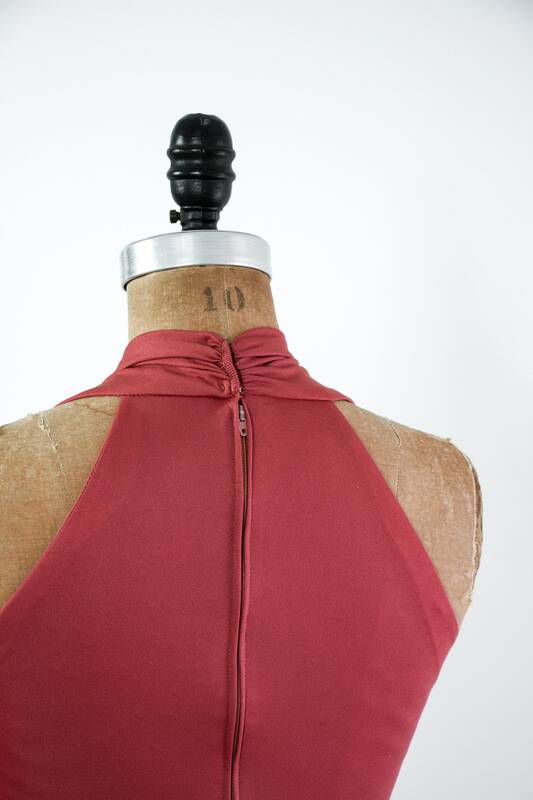 Has a zipper down the back with hook and eyes at the nape of neck.